Artem Kolenda, whose story you are reading now, live in Volyn (north western Ukraine). He has two years of involuntary service in the anti-sabotage unit of the naval fleet in Sevastopol city, along with special trainings of peacekeeping forces. Military carrier has always attracted Artem. But also young man has been being interested in jiu-jitsu as well. But, as it is said, man proposes God disposes. For more than three years, Artem lived and worked in Italy. After he came back home to Ukraine, he worked in one of the local restaurants. But he always was fond of martial arts, in particular- jiu-jitsu. Thus Artem became a member of the Brazilian jiu-jitsu club “Garda” where he was able to train under the leadership of a talented coach – Mikhail Savchuk. But, smart, fit and promising athlete was not able to stay out of the military actions which took place in the eastern region of Ukraine. In addition, many of his friends have already defended the independence of own country. Therefore, Artem made a considered, in his opinion, decision and voluntarily went to the military enlistment office. Taking part in dangerous military actions Artem even told lies his parents, to make them nervous less. Artem Kolenda served as scout-sapper, which is considered being the most dangerous occupation. Their regiment of special operations of the Armed Forces of Ukraine conducted reconnaissance operations on the territory where a colon of equipment passed, identified mined areas, guarded the delivery of equipment, withdrew damaged combat vehicles for repairs and so on. Artem reluctantly recalls what he had seen during the war; he was under fire and saw the death of fellow officers. Violence that demonstrated Russian army impressed Artem most of all. He saw how civilian population suffered, how opponents fired houses turning villages into ruins. Nevertheless, military service has taught him to overcome both physical and mental pain and find the strength to get up and move forward. Speaking about Ukrainian army, 33-years old Artem says the main problem is the lack of discipline. Artem Kolenda believes that jiu-jitsu knowledges can be successfully used in everyday life. Discipline, respect, ability to concentrate strictly on the certain goal and not to give up under any circumstances – all these Artem has learned from jiu-jitsu classes. Jiu-Jitsu obtained popularity among youth as a method of self-defense without using any weapons. Artem believes that youth is the future of any nation. So, young people should be well-educated, self-sufficient and strong. 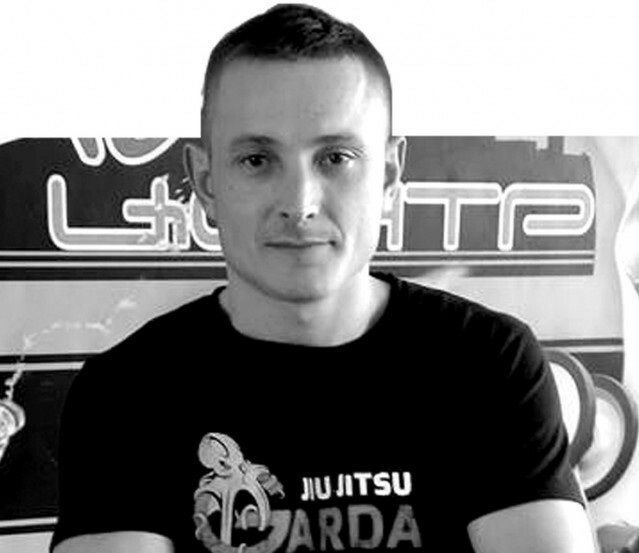 Therefore, today Artem Kolenda tries his best to organize a section of Jiu-Jitsu in his hometown. For him it isn’t just a sport, but a healthy lifestyle and cultivation of personality. He is sure strong and healthy nation is a key for a successful state development!